This entry was posted in and tagged Anna Tewes, Gallery Calapooia, Reception on May 6, 2016 by Rob Robinson. 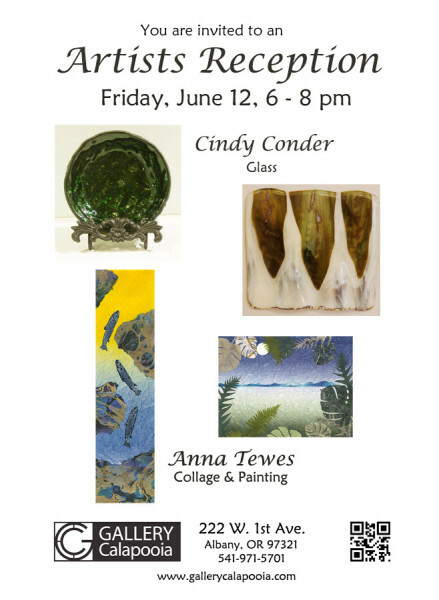 This entry was posted in and tagged Anna Tewes, Cindy Conder, collage, Gallery Calapooia, glass art, Reception on June 12, 2015 by Rob Robinson. 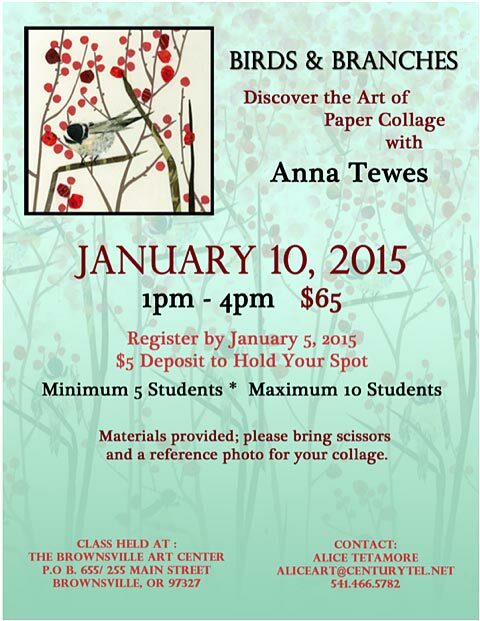 This entry was posted in and tagged Anna Tewes, class, collage, workshop on January 10, 2015 by Rob Robinson. 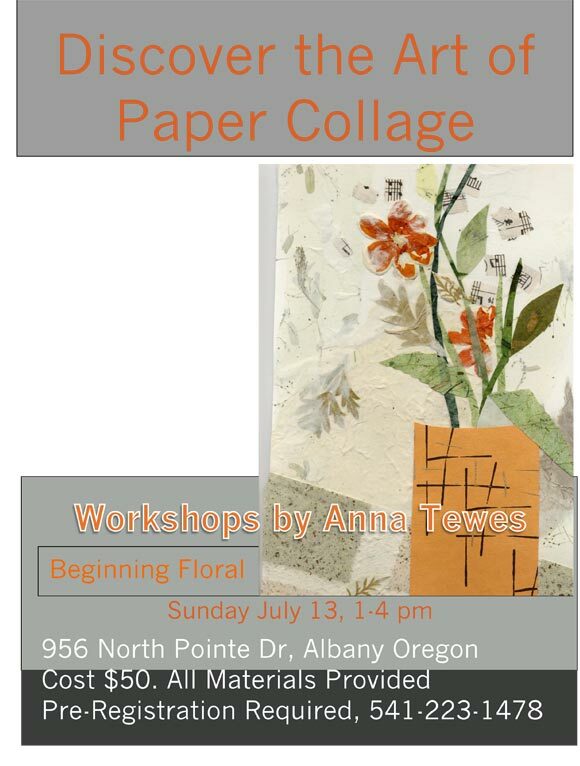 This entry was posted in and tagged Anna Tewes, collage, workshop on July 13, 2014 by Rob Robinson. 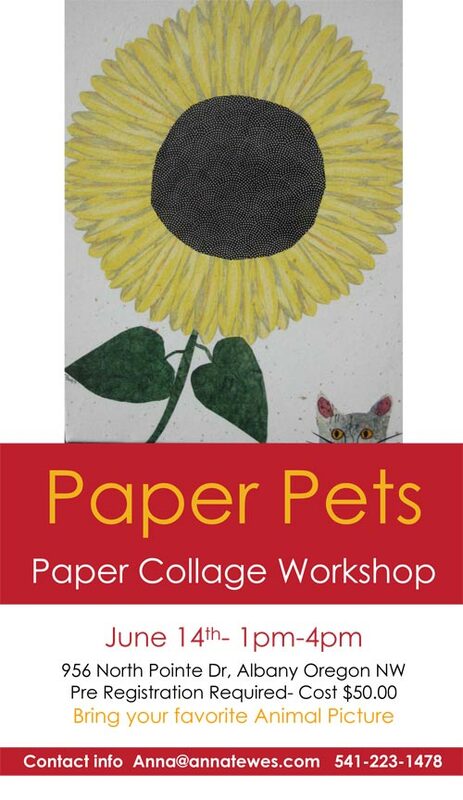 Join Anna Tewes in her studio for Paper Pets, a paper collage workshop. 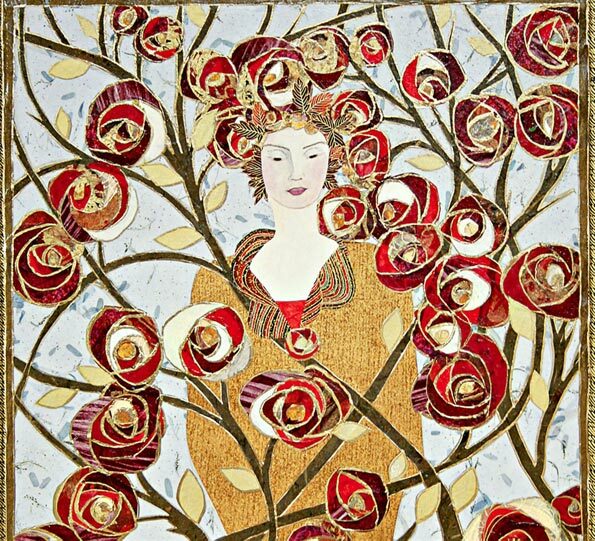 This entry was posted in and tagged Anna Tewes, collage, workshop on June 14, 2014 by Rob Robinson. 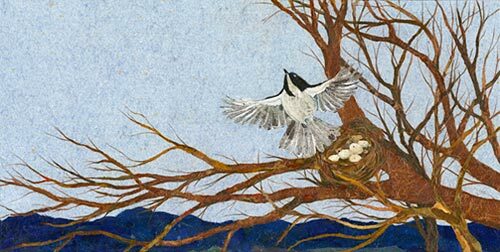 Discover the possibilities of working with papers that give a very natural look in creating images of birds and wood or use decorative papers to create your own whimsical rendition of our feathered friends. This entry was posted in and tagged Anna Tewes, class, collage, workshop on April 13, 2014 by Rob Robinson. Working in handmade papers offers the wonderful possibility of working in texture as well as design and color. 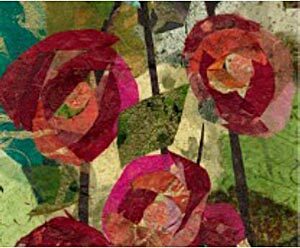 Design inspirations such as florals, landscapes and water are transformed into realistic or abstract images by the use of textured or patterned papers. This entry was posted in and tagged Albany, Anna Tewes, class, collage, workshop on March 23, 2014 by Rob Robinson. 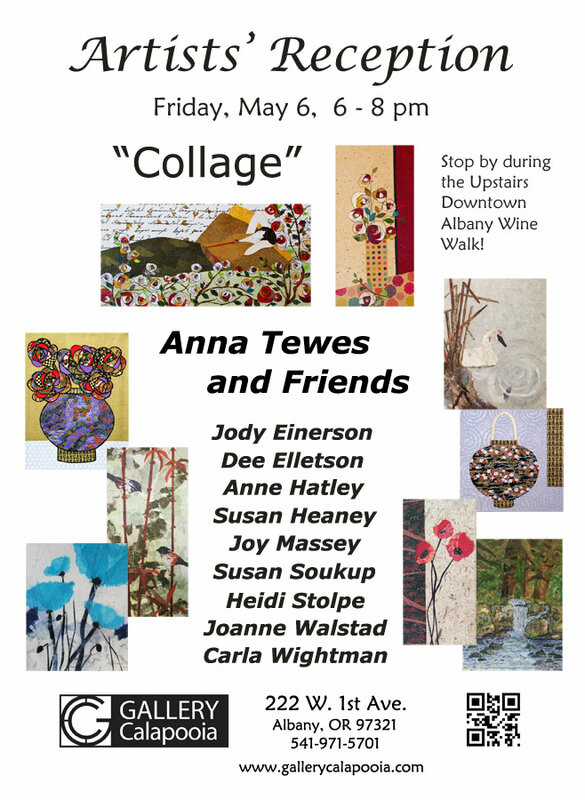 This entry was posted in and tagged Albany, Anna Tewes, collage, workshop on March 22, 2014 by Rob Robinson. 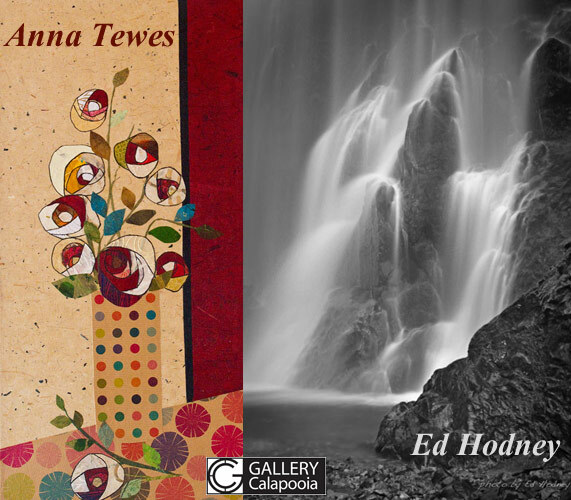 Join us for our monthly reception on Saturday, March 15th and meet our featured artists, Anna Tewes and Ed Hodney. Anna’s theme for this month as a featured artist is “Everything Roses.” Ed will be showing his landscape photographs from around the Northwest. You will find Ed’s and Anna’s artwork in the front windows and on the Feature Wall on the left as you enter the gallery. Take a look at the Water Theme artwork on display and enjoy some refreshments too. This entry was posted in and tagged Anna Tewes, Ed Hodney, featured artists, Gallery Calapooia, Reception, Theme on March 15, 2014 by Rob Robinson.